No matter what type of sport you play and at what level your team plays at, you can’t expect the team be winners if you don’t have the right sort of equipment. While the equipment list will obviously vary from sport to sport, the essential items needed for a successful team are consistent across most sports. Here’s a quick rundown of the most important items of equipment a team will need if they are going to reach their full championship potential. Good quality uniforms don’t only make the team look great, they also make the players feel great too, and that’s extremely important. It’s easy to underestimate the boost to team morale and the positive effect that uniforms can have on the player’s sense of team spirit that a high-quality uniform can have. When a team runs out onto the field of play wearing great uniforms, they will have a such a sense of pride that it will boost their on-field performance. The safety of any athlete must always be a priority, so having the proper type of safety equipment for the team is a must. For a football team that will mean helmets, face masks, pads, mouth guards, etc., but even in sports that have less contact, such as soccer, shin guards and protective cups are still essential items of equipment that will prevent injuries. Off-field training is as important as on-field practice sessions. It’s where athletes develop their strength and their stamina. Access to a well-equipped gym is therefore another essential requirement for the modern, successful sports team. From tackling and blocking dummies for football and training cones for honing dribbling skills in soccer, to making sure that you have enough practice balls in any ball sport; having adequate training equipment for practice sessions is essential if you are going to avoid having players hanging around waiting for their turn. It is important in any sport to keep training sessions fast-paced and interesting, or players will get bored and start to switch off, so investing in practice equipment is another big step towards developing a championship team. The use of video as a coaching tool has now become a standard feature of team sports. 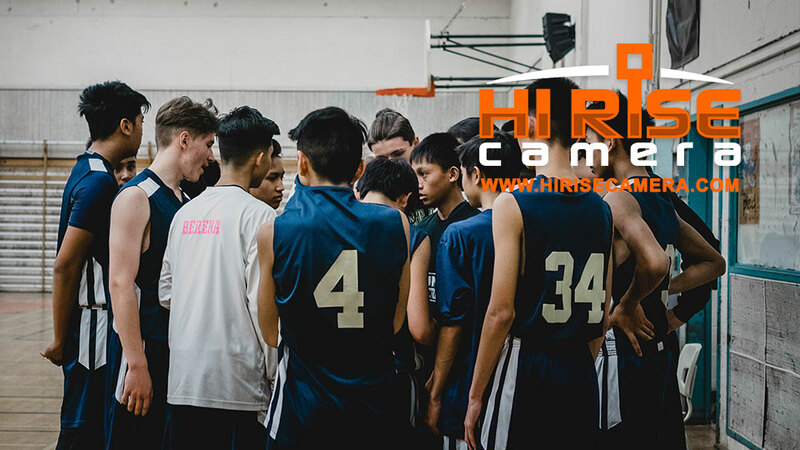 If you have a good quality video camera, such as the Sony HDR-CX405 Camera, you will be able to take high quality footage of games and practices from the end zone and the sideline, and then analyze that footage using packages, like Hudl or VideoChamp Sports. To get the most out of your high-quality video camera. You will need the right angle and the best way to achieve that is with an end zone camera system. One of the best end zone cameras on the market today is Hi Rise Camera, which has a 20ft telescoping video camera tower. The Hi Rise Camera tower can be used both as an endzone camera and as a sideline camera, and, at 20ft high, it’s just the right height to achieve the perfect angle of view. Access to a well-equipped coaching room will also be a big advantage and, for that, you will need a good-sized room with comfortable seating and a large TV screen or projection equipment so that players can easily view the game and practice footage that has been taken from the end zone camera system. Last, but certainly not least, every team, championship or not, should have a well-stocked first aid kit on hand at all games and practices. A first aid kit will also need to be checked regularly to make sure that nothing needs replenishing. Do Endzone Cameras Improve Team Performance? What Items Do I Need to Live Stream Games? When Recording Video, Does the Quality of the SD Card Impact Video Quality? Can End Zone Systems Be Used for Indoor Sports? Are all HDMI Cables Created Equal? BUY OUR ENDZONE CAMERA This endzone camera unit is known all over the world for providing superior HD video quality, being a simple to use & operate, and light-weight. As part of the Hi Rise unit, the camera does what it is known for – shooting high quality video. Hi Rise Camera is an innovative manufacturer of video camera tower units and endzone camera products that capture high-angle video footage. Our products are revolutionizing the way that sideline camera and endzone video footage is captured around the globe. Our company was born from the idea that capturing video footage the way you need it, should be easy, impactful and affordable.